That beautiful flower and stamped flower background were made using FSJ's "Journey Blooms" stamp set. And the smile sentiment from our "Greet & Shout" stamp set. 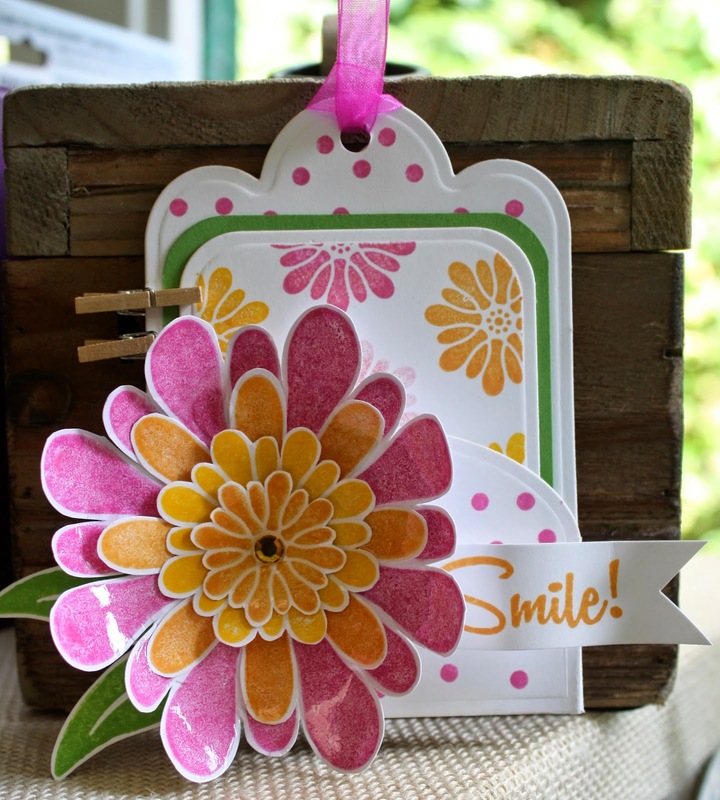 I used our Journey Glaze to create the glossy finish on the flower and of course, our yummy FSJ cardstock and inks. What a wonderful tag Janice - love your colours and the gloss is perfect on the petals. That glaze is YUMMY! Such a sweet card. Beautiful project, I like how you put the Journey flower on top of your flower pile and added some journey glaze, very pretty!